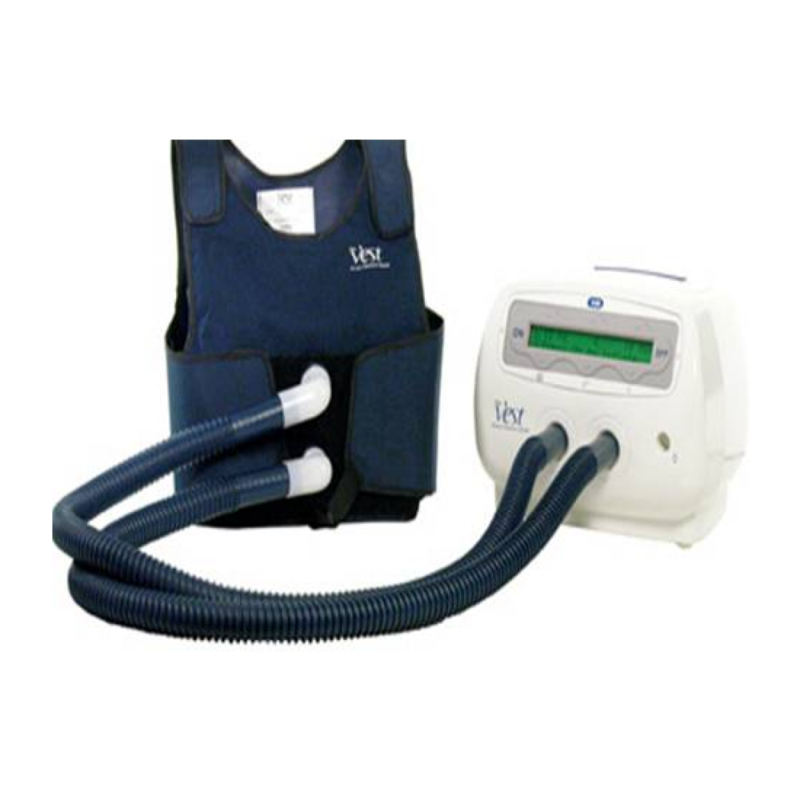 Many people with Cystic Fibrosis use high-frequency chest wall oscillation (HFCWO) vests, otherwise known as airway clearance systems, as part of their daily airway clearance routine. This machine is made up of two pieces, an air-pulse generator and an inflatable vest that is connected to the generator by hoses. The generator sends air through the hoses, which causes the vest to inflate and deflate rapidly, as much as 20 times per second. This rapid inflation and deflation creates pressure on the chest similar to clapping. The vibrations not only separate mucus from the airway walls, they also help move it up into the large airways. Typically, a person uses the vest for five minutes and then coughs or huff coughs to clear the mucus. Sessions last about 20 to 30 minutes. The goals of this treatment are to break up mucus and help bring it to the upper airways, where it can be coughed out or removed by suction. The machine connected to the vest is an air compressor that delivers bursts of air to rapidly inflate and deflate the vest about 25 times per second.